Five dingo pups have recently been born at the Australian Wildlife Park. A breed of wild dog native to Australia, dingos usually have a litter of two or three pups, wildlife park said in a statement, which is why five pups is cause for celebration. Dingo are listed as vulnerable due to attempts to eradicate them. They are seen as a threat to farming animals, while cross breeding with domesticated dog breeds has diluted the dingo gene pool, according to the Australian Museum. The Australian Wildlife Park hopes to teach visitors that dingos are not a pest and that they are important to the country's ecosystem. Not to mention, they're just too cute. The footage shows the puppies jumping on one another but remaining in close proximity to their parents. The golden fur-balls are likely to grow to a medium size and weight between 15 to 20 kilos. For many Australians, the dingo is a cultural icon. Dingoes have a prominent role in the culture of Aboriginal Australians as a feature of stories and ceremonies, and they are depicted on rock carvings and cave paintings. 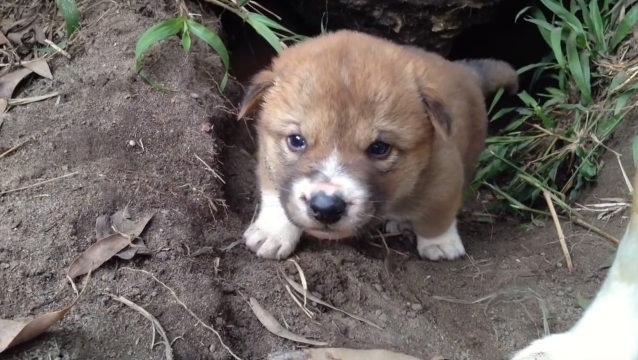 Responses to "Fluffy little dingo puppies to teach Australia about conservation"